RTTarget-32's boot code can boot applications directly from a floppy, hard disk, CD-ROM, USB stick, ROM, a BIOS extension, UEFI firmware, or DOS. In addition, the boot code maintains system data structures such as the GDT, IDT, and the page table. Source-level debugging is supported using Borland's Turbo Debugger or the debugger integrated in Microsoft Visual Studio. Host and target computers are connected using a serial link at up to 921600 baud, a parallel port, or over Ethernet. With RTIP-32, the application can use the same Ethernet interface as the cross debugger if only one Ethernet interface is available. RTTarget-32 includes functions for physical memory access, port I/O, hardware interrupt handling, serial I/O, real-time clock access, PCI device management, 387 FPU emulation, SMBIOS and ACPI access, and more. RTTarget-32 provides about 400 Win32 API functions, allowing it to run many Win32 programs unmodified. The Win32 API emulation covers memory management, file I/O (RAM files, console files, printer ports), console I/O (screen and keyboard), time-of-day and system tick, DLL management (LoadLibrary/GetProcAddress), exception handling, access to Win32 resources, memory mapped files, etc. Programs can run at CPU privilege level 0 or 3 to optimize either for maximum protection or best performance. RTTarget-32 has functions to start and stop additional CPUs. Spinlocks and inter-processor interrupts are available to synchronize execution among CPUs. 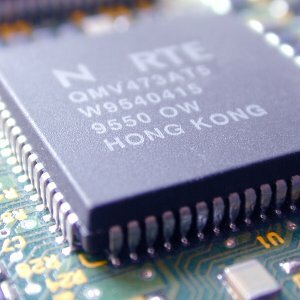 While RTTarget-32 does not contain a multitasking scheduler, RTKernel-32 can use the multiprocessor support to schedule threads on up to 32 CPUs. Applications consist of one main program (the .exe file) and up to 63 DLLs, which can be statically linked into a program image or loaded dynamically through a file system. RTTarget-32 applications are 32 bit but can nevertheless use up to one terabyte of RAM through RTTarget-32's Extended RAM Management API. would compile, link, and locate program Test and place it on an RTTarget-32 boot disk as a self-booting application. RTTarget-32 is shipped with many example projects that show how to use the RTTarget-32 locator and other tools with Microsoft Visual Studio and other compilers. RTTarget-32 can be fully integrated with Microsoft Visual Studio. The Visual Studio integrated debugger can be used to cross-debug embedded systems. Borland's Turbo Debugger together with RTTarget-32 supports hardware breakpoints on the target.